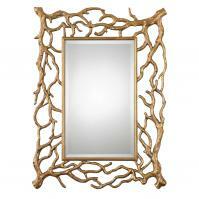 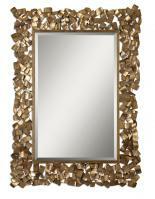 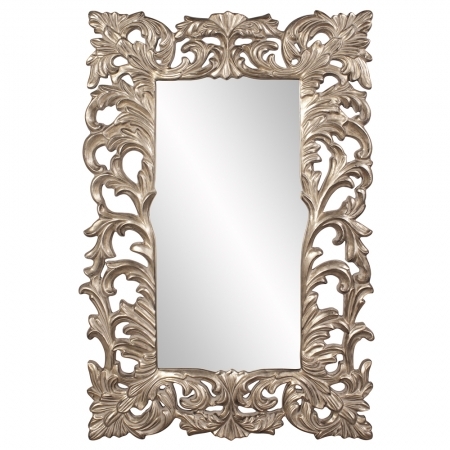 For a classical elegant touch to the room, this rectangular mirror is the perfect piece. 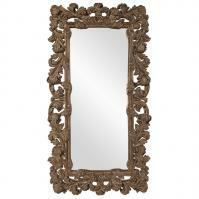 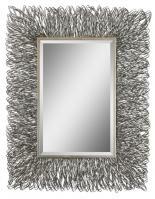 The feather like design of the open lace frame work has a warm antique silver leaf finish with soft golden highlights. 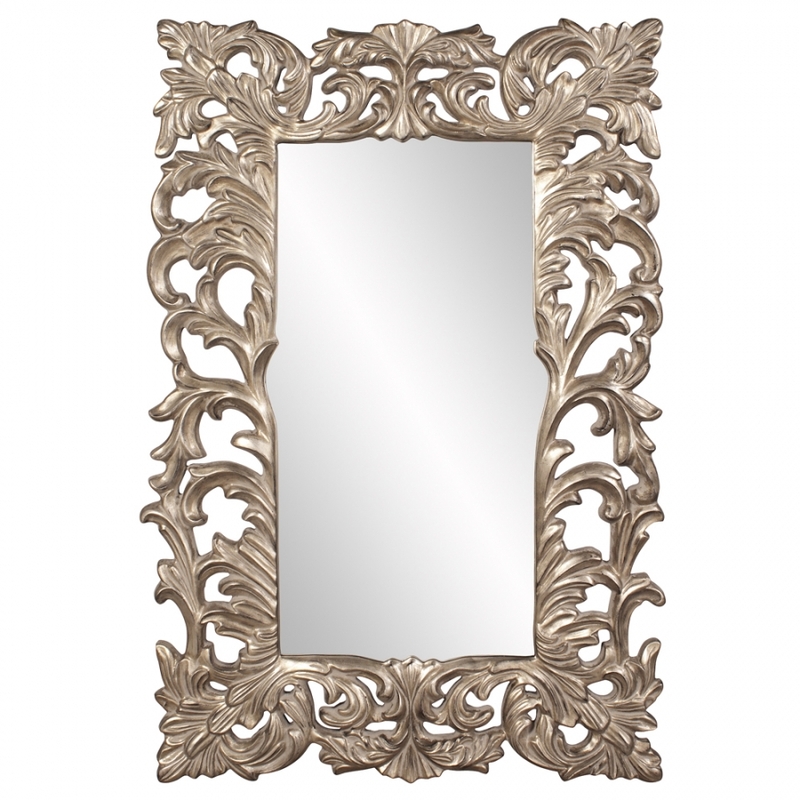 At four feet in length and two feet wide, the reflective surface is a very generous size for personal viewing as it also enhances the spacious feeling in the area.